Anthony Scaramucci has been removed as White House communications director, less than two weeks after he was hired by Donald Trump. During his brief time working for the US President, Mr Scaramucci turned the White House upside down. His hiring led to the departures of both Sean Spicer and Reince Priebus, Mr Trump's former press secretary and Chief of Staff, respectively. John Kelly, who was sworn in as White House Chief of Staff on Monday, reportedly asked the President to remove Mr Scaramucci as communications director, according to The New York Times. Without specifically referencing what had happened, Mr Trump appeared to be happy with events, tweeting that it was a "great day at the White House". 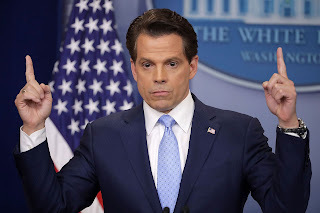 According to ABC News, Mr Scaramucci offered his resignation to Mr Kelly with a request to be redeployed at the US's Export-Import Bank as chief strategy officer. 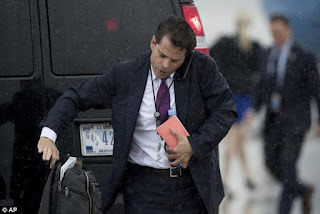 Mr Scaramucci's resignation comes after he told a New Yorker reporter last week that Mr Priebus was a “paranoid schizophrenic, a paranoiac” and accused him of leaking information to journalists. The following day, Mr Trump announced on Twitter that he was replacing Mr Priebus with Mr Kelly. Mr Scaramucci's tenure as Mr Trump's communications director may have been cursed from the start. When Mr Spicer resigned earlier this month, The New York Times reported that he told Mr Trump the appointment of the New York financier was a big mistake. Mr Scaramucci was selected to replace Mike Dubke, who resigned from the job in May amid fallout from primarily Russia-related scandals. During the transition, Mr Trump had intended to appoint Mr Scaramucci as director of his office of public liaison, but the offer was pulled at the request of Mr Priebus because of concerns about the financier’s overseas investments. It is likely that Mr Trump selected Mr Scaramucci because of his demonstrated loyalty. The financier, who founded the global investment firm SkyBridge Capital and is a Fox News contributor, has on multiple occasions spiritedly defended the President on television while Mr Trump has constantly felt that his communications team had not been doing enough to defend him. During his first and last week on the job, Mr Scaramucci vowed to purge the White House staff of disloyal aides in an effort to crack down on leaks. “You’re either going to stop leaking, or you’re going to get fired,” Mr Scaramucci said.